A luxury class gulet offering spacious accommodation and great style. Her 2 master, 2 double and 1 triple (double and single bed) cabins are beautifully crafted from mahogany and come equipped with TV, DVD player and minibar. She even has a jacuzzi on deck. A wonderful trip. Everything was perfect: the boat; the itinerary; the food and local historical guides. We were privileged to have archaeologist Helena Tomas share her knowledge of the sites we visited and with the passion that she has for her profession. 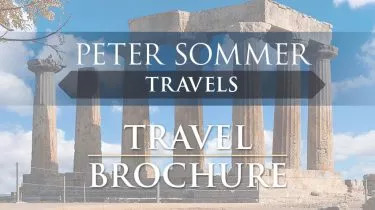 Every detail Peter Sommer Travels arranged on the tour was done perfectly.